This simple classic pearl victrix bangle will add a little dazzle to your day. Swarovski crystal, freshwater pearl and glass bead crochet open cuff. 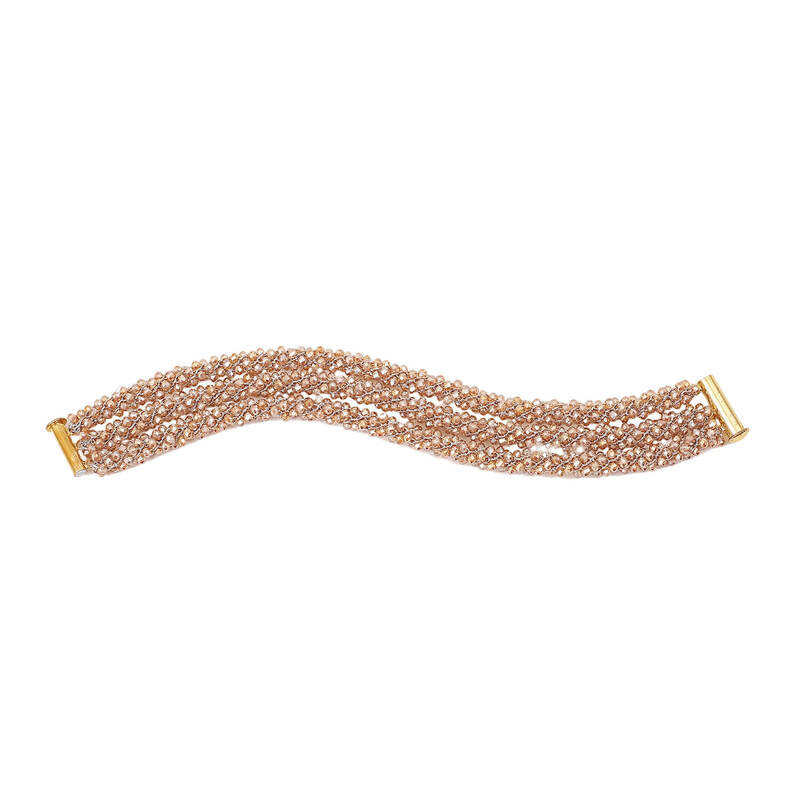 Featuring an Ivory Fresh Water pearl central band and embroidered with small Citrine, Blush and Opaque clear beads. The inner side is covered with a comfort hand dyed gross-grain ribbon, hand stitched. Lovingly handmade by St Erasmus Artisans. Presented in gift box for safe storage. Comes with drawstring dust-bag. Includes 12 month warranty.